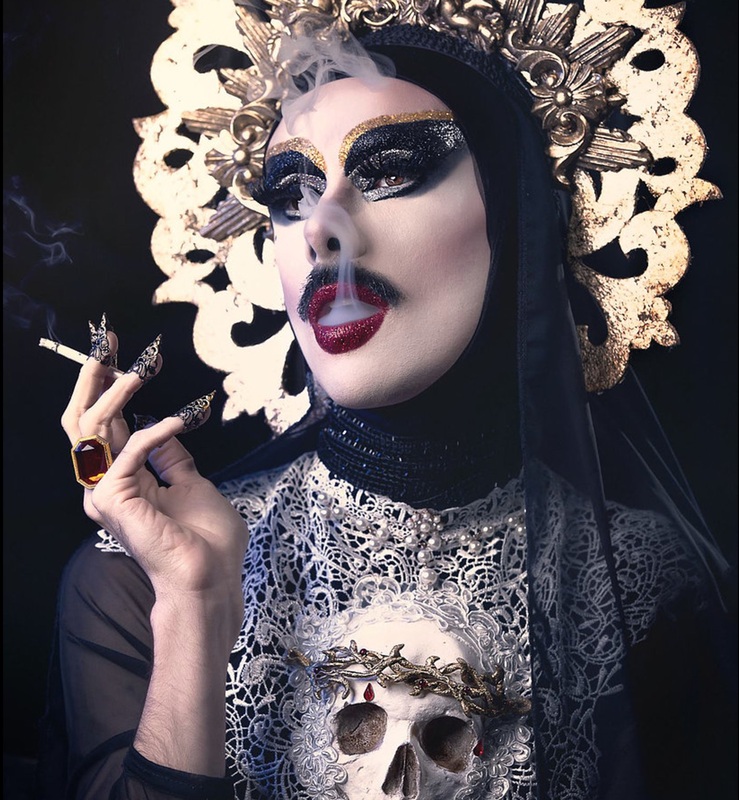 For the latest queerguru reports on London’s burgeoning alternative drag scene which has being setting the capital’s performance scene alight and making the East End THE destination for the very best in entertainment, we meet a real life religious icon. The Virgin Xtravaganzah aka Mary, Mother of God is the wickedly funny persona of the very talented Drew Caiden, and via Facetime he shared what life on earth is like for Mary these days. The interview was recorded for queerguru reports on PTV.